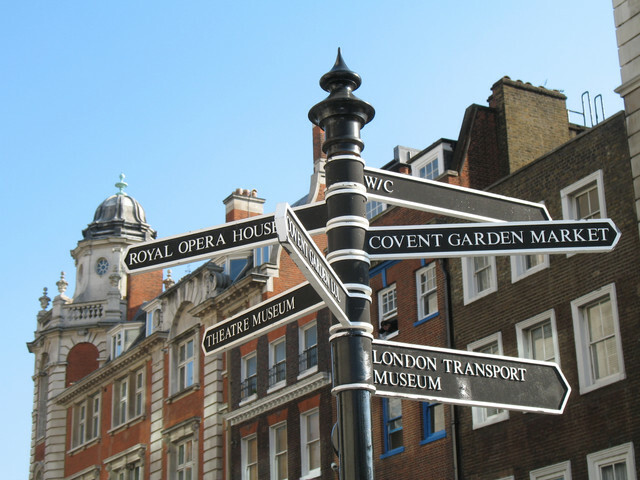 What is the Best London Shopping Route? London is a huge place, filled with plenty of things to do, but one of the most popular activities has got to be the shopping. Whether you are looking for high street or high-end shopping, London has it all, and with Smart City, you can make it a truly memorable experience. Where you want to go shopping is up to you, but to help you out, we’ve planned out a route which includes some of the most iconic London shops, focusing on the Knightsbridge, Soho and Mayfair areas. Starting off on Brompton Road, you can take a look around one of the most famous department stores in the world. The iconic green canopies that line Brompton Road sit above the fantastic window displays of Harrods, which holds some of the biggest brands, from Alexander McQueen to Vivienne Westwood. Along Brompton Road, you can also find big names such as Zara, Burberry and Ted Baker. Just off Brompton Road is Slone Street, one of the most well-known luxury shopping destinations. On the corner of Sloane Street, you will find the fabulous Harvey Nichols, as well as brands such as Gucci, MIU MIU, Versace, Jimmy Choo and Dolce & Gabbana. Back up to Brompton Road, you come to Knightsbridge, then onto Piccadilly before turning onto Regent Street. Regent Street is filled with more big name brands making it a perfect part of your shopping trip. It hosts names such as UNIQLO, Levi’s, Hugo Boss and finally, one of the most exciting shops in London, Hamleys. The toy shop has a magical feel to it with live demonstrations and fabulous toys. From Regent Street, you can turn off onto Oxford Street. With hundreds of shops to choose from, Oxford Street is the perfect place for a spot of shopping. There are plenty of high street brands as well as luxury shops such as Urban Outfitters, New Balance, Estée Lauder and the impressive department store, Selfridges. Inside, you can find some of the most famous brands such as Stella McCartney, Fendi, Chanel and Cartier. This is also a fantastic destination to visit at Christmas time as the shop displays get given a very special festive treatment. After all of that shopping, you can carry on down Oxford Street to Marble Arch where you can spend the rest of the day relaxing in Hyde Park – a perfect day in London. Of course, these are just a few suggestions of some of the fantastic shopping locations in London. Our shopping car hire in London allows you to navigate around the streets of London to your chosen shopping locations without having to haul your shopping bags around the underground stations. If you would like to find out more about our luxury car services, please don’t hesitate to get in touch with a member of our team who will be more than happy to help. You can call us on 020 7792 1191 or fill out our online enquiry form.